Knee and thigh injuries affect millions of people in the U.S. each year. 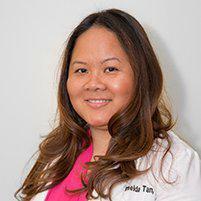 At her Midtown East office, Dr. Imelda Tan, PT, DPT, CES helps Manhattan area patients dealing with ACL injuries, meniscal tears and ITB syndrome understand the causes of their symptoms and get the treatments they need to resolve pain and inflammation. The iliotibial band is the ligament that extends from the hip to the shin on the outer side of each leg. Iliotibial band syndrome (ITBS) is an overuse injury that occurs when this ligament begins to rub against the thigh bone, resulting in irritation and painful inflammation. It develops most commonly in bicyclists, long-distance runners and other athletes who use the thigh muscles repeatedly, and it's especially common among athletes who do not properly train or warm up. Physical therapy is the primary treatment for ITB syndrome, helping men and women regain flexibility and pain-free movement while reducing inflammation and irritation. Activities and exercises may include gentle stretching and massage to reduce inflammation, gait analysis to determine the underlying cause of irritation and friction between the ligament and bone, and therapeutic ultrasound. What are ACL and meniscal tears? ACL tears refer to tears in the anterior cruciate ligament, one of the primary ligaments of the knee that helps keep the knee stable and promotes normal range of motion and flexion. ACL tears are common among athletes who pivot or stop quickly. A meniscal tear is an injury that affects one or more menisci, C-shaped rubbery discs of cartilage that help the knee stay flexible and stable and protect the knee from impact forces. How does physical therapy help ACL and meniscal tears? Physical therapy is important for reducing pain and inflammation that accompany both these injuries. Some but not all patients may require surgery to repair a tear that goes all the way through the tissue, but whether or not surgery is necessary, physical therapy is still required to help restore strength, flexibility and stability to the joint and to help prevent future injury to these soft tissues.